Pandya and Rahul have already missed the Australia series and have been ruled out of the New Zealand tour. Ever since the on-screen controversy featuring ace all-rounder Hardik Pandya has erupted, the stakeholders are having anxious days. The 25-year-old cricketer has been handed an indefinite suspension and with the judiciary yet to take up the case, the future looks uncertain for not only the player but also teams he is associated with, including India’s national side. 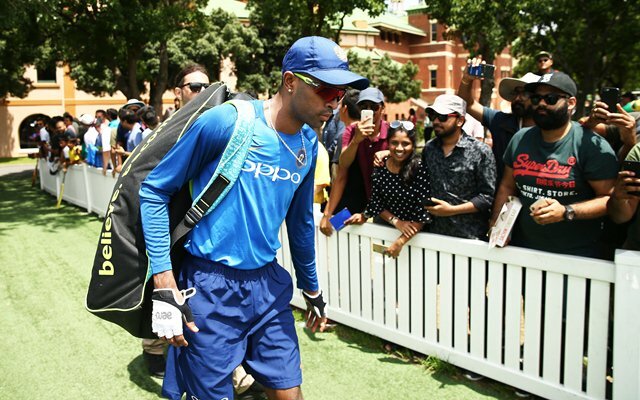 The Pandya case has been particularly worrying for his franchise in the Indian Premier League (IPL) – the Mumbai Indians (MI). The Baroda all-rounder is a vital cog in the machine for the three-time champions in the T20 tournament and it is not surprising that they would want to see him back into the field at the earliest. The 2019 edition of the IPL is around two months away now and that has made the MI even more restless. Pandya has played in 50 games in the IPL so far, scoring over 600 runs and taking 28 wickets. But has the MI approached the BCCI to settle the issue fast? As per a report in Times of India, the Mumbai based franchise has requested the board to hasten the investigation into the Pandya case. However, Sundar Raman, the CEO (Sports) of Reliance Industries, has denied any such move. “MI has nothing to do with this,” he was quoted as saying by ToI while Amitabh Choudhary, BCCI secretary, was not available for comment. Hardik Pandya and KL Rahul recently appeared on filmmaker Karan Johar’s television show ‘Koffee With Karan’ where the all-rounder was found making sexist and out-of-taste remarks, leading to an outrage. The Committee of Administrators (CoA) that run the BCCI decided to take stern action on the duo but there was a clear lack of consensus among the people over handling the duo who returned from Australia without playing the ODI series and will miss the upcoming series against New Zealand as well. Recently, the CoA asked the Supreme Court to appoint an Ombudsman who could look into the matter but the case was delayed. It is to be seen what punishment the two gets. A prolonged suspension/ban could see Pandya and Rahul missing both the IPL and World Cup 2019 while a lesser punishment could see them returning to the ground soon.